On Friday, April 19th, 2013, during the Annual Meeting in Seoul, Caroline Berube was given a special opportunity to interview the Honourable Justice Cha (also the Minister of National Court Administration) for the IPBA Journal. The following is a summary of their discussion as it appeared in the journal: IPBA Journal June 2013 Judge Interview. While in Sydney last year, Caroline Berube was given the opportunity to interview the Honorable Chief Justice Thomas Bathurst for the IPBA Journal. Here’s a link to the condensed version of the conversation that was held on Tuesday, December 18th, 2012 as it appeared in the journal: IPBA Journal March 2013 Judge Interview. On November 3rd, 2011, Caroline Berube was given the opportunity in Dubai to interview the Honourable Chief Justice of the DIFC Courts, Michael Hwang, for the IPBA Journal. 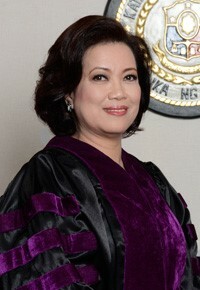 Chief Justice Hwang is also a Senior Counsel and Chartered International Arbitrator based in Singapore. Read the interview as it appeared in the journal here: IPBA Journal December 2011 Judge Interview. On February 23rd, 2011, Caroline Berube and Dhinesh Bhaskaran were given the opportunity to interview the Honorable Tun Dato’ Seri Zaki Tun Azmi for the IPBA Journal. Read the interview as it appeared in the journal here: IPBA Journal September 2011 Judge Interview.